One fact you can be sure of is that there are a variety of options when it comes to choosing a workout routine. But not all of these options will give you the same results. No one likes having a big belly. 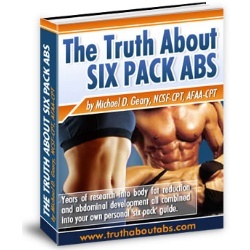 However, it’s nearly impossible to achieve a strong, slim abdomen without making use of the best ab workouts around. The key to finding the best ab workout for you is to research different methods and find one that suits your personal needs and abilities. 1. Lie on the floor face up with both hands behind your head. 3. Straighten the right leg out while simultaneously turning the upper body to the left, bringing your right elbow towards the left knee. 5. Continue alternating sides using a ‘pedaling’ motion for 15-20 reps per set. 3. Tighten your abs and lift your torso off the ball, pulling your ribs down toward your hips. 4. Keep the ball stable as you curl up. Avoid moving the ball. 5. Lower back down over the ball, getting a stretch in your abs. Repeat the ball crunch for 15-20 reps per set. You’ve probably heard plenty of people say the best ab workout is crunches, right? To properly preform crunches you’ll need to lie on a mat, make sure your feet are pressed firmly to the floor, and then raise your knees with both hands supporting the back of your head without straining your neck. While you lift your head you should “crunch” your stomach muscles while maintaining this crunched position for a few seconds before returning to your starting position. After doing this a short while your body will become accustomed to it, crunches are one of the best ab workout methods you can do. As long as you’re consistent with your exercise routine you will start to see results fairly soon. Knee ups are another one of the best ab workouts, this exercise requires you to sit on a bench with both hands firmly grasping each side. Once in this position extend your legs outward and then follow this move by drawing your knees slowly up to your chest. This movement encourages the proper contraction of stomach muscles, sustain the position for a few seconds before returning to your starting position, keep up with this workout and you’ll soon find yourself with strong and attractive ab muscles. For this exercise you’ll want to do 3 sets of 25 reps. Even something as simple as a body twist can be an effective ab workout, in fact, they’re considered one of the best ab workouts by many trainers. And they’re the easiest exercise of the three best ab workouts. For this exercise all you need to do is stand up straight with your feet slightly apart and hold your arms out straight. From your front facing stance slowly twist toward your right side so that your arms are now pointing directly in front of and in back of you. Maintain this position for about 5 seconds. Then repeat the move, this time moving toward your left side. Maintain again for 5 seconds before slowly moving back to your starting front facing position. And that’s all there is to twists! With any combination of these exercises you can dramatically improve your ab muscles, so be sure to experiment with different routines! 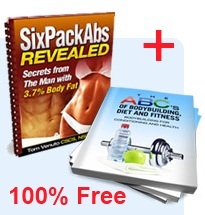 Eventually you’ll find which combination gets the best ab results for you.